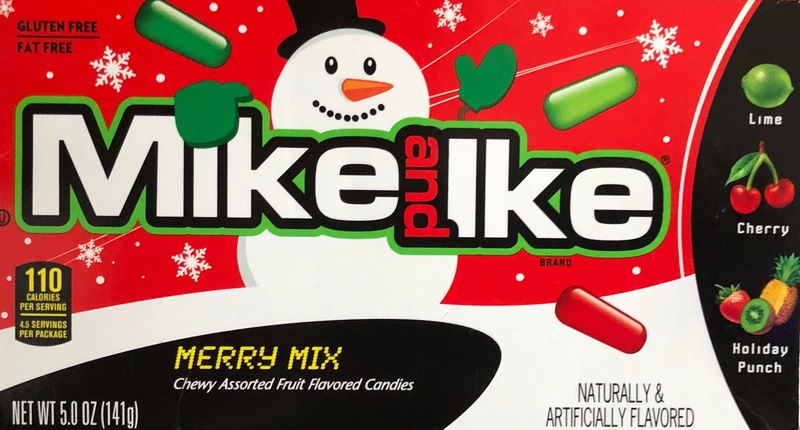 Hey, a new Mike and Ike flavor mix is always a treat. Sometimes they're a little off --remember Buttered Popcorn?-- and sometimes they're magical --hello, Mega Mix! The Christmas Edition Merry Mix constitutes one of the better flavor combinations, with Lime, Cherry, and Holiday Punch. The box depicts a strawberry, kiwi, and pineapple to illustrate the flavor. I certainly wouldn't have come close to guessing those fruits, but it's a nice berry-ish mellow blend. I easily finished the box in a sitting, which is the true test.